Promoting your mobile app is a critical part of the process. No one can download it if they don’t know about it! Social media has proven to be one of the most effective ways to get the word out. The power of social media for mobile apps is that it can offer a direct line from the ad right to the app. According to Comscore, more than 80% of social media time is spent on mobile devices. That’s what makes social media even more potent for mobile applications than for other kinds of products – they’re being used in tandem. Understanding how you can use social media to reach new audiences is an important part making your application successful. Using social media to reach your intended audience isn’t as simple as throwing up an ad. Thanks to new technology, you have a plethora of options at your disposal to reach your audience effectively. Here are eight solid social media tactics that work for mobile applications. Again, this plays on the immediacy of mobile technology. 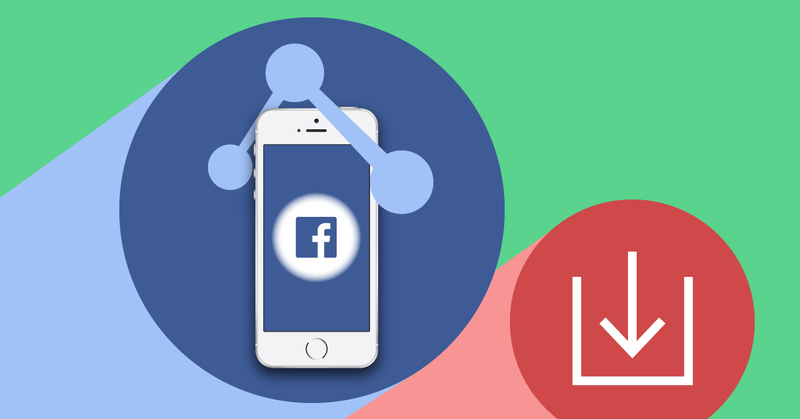 Since social media and mobile applications are right there, adding in a “download now” button to your Facebook and Instagram ads allows you to make the fastest connection. You want to make this process as easy as possible for users. That means putting your social media download buttons right there. It’s that simple! Operating system matters. Whether your end user is on iOS or Android, you want to be sure that you’re creating ads that lead them to the right place. Keep in mind that the thing you want most is for this process to be easy – every barrier you put between potential customers and your download is going to decrease your sales. The more you’re able to tailor your advertising, the more successful it’s going to be. Video dominates social media. Show the functionality of your app. Present why people want it. Video clips give users an initial idea of what you’re offering. Highlight app navigation or stellar graphics. Whatever your selling point is, use short, targeted videos to demonstrate your application. Invite user comment and engage when you post videos. This will give you valuable feedback for future versions! When you’re not using video – use images. Social media is moving more and more towards image based communication. Showing images to your customers makes your content more sharable and easier for people to engage with you. They don’t have to be complex or incredibly polished – screenshots and tagged images are the hands down best way to get in touch with your audience. Use text minimally, use images with abandon. One of the most powerful points of social media is that it’s user driven. People love to hear user experiences. They want the opinion of actual users, not just of the company. Sharing user experiences on social media gives your business a much higher level of authenticity. You can regularly solicit these experiences with a fair bit of ease by just reaching out to users. Realize that you need to give your customers something fantastic in your app in order to get those stories. Maybe you have an amazing matchmaking app and two people who live across the world from each other found love. These are the stories that people love to share on social media! The heart of the social media experience is that it’s driven by users. You can reach out to your customers to refer your app on social media, and what’s even better is that you can offer them incentives to get those referrals for you. Look at the people who have downloaded your app not as an end in and of themselves, but as a potential springboard for exponential growth. A small incentive is plenty to spur users to share your app on social media. As always, the key is to start off with a high quality app that people can be passionate about sharing. People want to connect with real people on social media, not with cookie cutter companies. Every way that you can reach out to your user base is going to help you to improve your social media profile and to connect more effectively with your user base. Give your company a real face as much as possible. Use mistakes as a way to acknowledge your humanity. Surprise users with new features and reach out to them with new information. The best way to get your message out effectively is to be a real company that’s been created by real people who want to make life better for other real people. For most mobile applications, social media is the best place to find success in spreading the word. You’ve got access to a wide audience that’s already where you need them to be. Prime them and get them interested in your application, then make things as easy as you possibly can for them to download your mobile app directly into their phones. The close connection of the two makes the process seamless and easy! Take advantage of that opportunity and immerse yourself in your social media marketing plan with gusto. Social media marketing isn’t hard, especially not when you’ve got a great product. Do you have a great idea for a mobile app? Imaginovation can help you bring it to life and even help you with your initial social promotion by creating a video to go along with it. Michael is a dynamic business professional with proven success in creative strategy, digital marketing and project management, in both the public and private sectors. He drives Imaginovation’s rapid business growth in marketing and sales owing to his multifaceted and versatile experience in numerous industry verticals. You can follow him on Twitter at @Mgeorgiou22.